It’s Finally Out? Yes, really! I cannot believe I am actually typing these words. 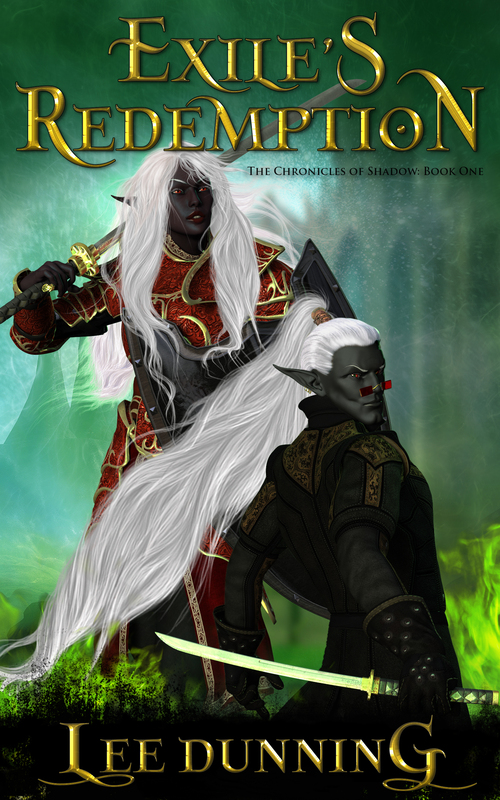 Volume Three of the Chronicles of Shadows – Exile’s Legacy – is finally freakin’ out! Yes, I am as stunned as you, good reader. In addition to the story itself, I redid the primary map and updated it to show that Teresland is no longer around and to show the area where Raven’s crazy forest is proliferating. There is a new map as well which depicts the Badlands where Croaking Wisdom’s people live and where the city-state of Uhtheim stands, home of the mysterious Dragon Queen. My maps still won’t be winning any beauty contests, but I do think they are much improved over the original. I’ve enjoyed reading the Exile series. In fact, I plowed through all three and was left begging for the fourth. My favorite part of any book is getting to know the characters – you have a wonderful way of sharing their lives and yet still surprising the reader with a quick turn of events. The touch of sci-fi is a great twist that I hope you will explore in more depth in future books. Waiting for the continuing story is difficult, but I know it will be well worth the wait. Thank you for such great stories! Deb, thank you so much for stopping by. It’s great to know that you enjoyed the series enough to motivated through all of them and still wanted more. Yes, I do plan on touching more on the sci-fi aspects of the story. This will especially become important as the next generation of characters grow up – don’t want to give too much away, though. If you have the time and inclination, I’d love it if you could pop by Amazon and leave a review or two or even three. ) They don’t have to be long or complicated. Regardless, they will help people find the series and give them an idea of what to expect. I hope to have the next book out within a year (fingers crossed). Before then I will have at least one short story out for free as a “thank you” to you guys for all your patience. If my plans go as I wish, there will be second free short story out for Halloween. Thank you, again. It’s great to hear from you. Exile's Gamble now available at Amazon. The magic begins with you!